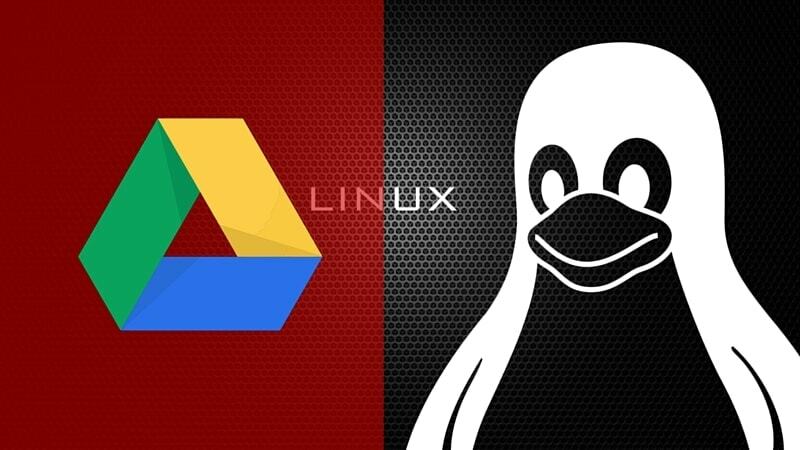 Brief: While Google Drive is not officially available for Linux, here are tools to help you use Google Drive in Linux. Google Drive is an integral part of the Google ecosystem. It offers 15 GB of free storage which is shared across your Gmail account, Google Photos, various Google and Android services. Since its debut in 2012, we’ve seen official Google Drive clients for Windows, OS X, Android, iOS. But, unfortunately, an official Linux client is yet to see the light of the day, if ever. This deliberate and continual ignore by Google has prompted Linux users to question if Google hates desktop Linux? However, in the world of Linux, there’s always an alternative or workaround. Here we’re going to see such alternatives ways you can use Google Drive in Linux. The list here is no particular order. I have just listed a few Google Drive desktop clients for Linux along with some other hacks. Insync is the most feature-rich Google Drive desktop client available out there. You’ll find almost everything you want from a Google Drive client in it, including multiple account support, desktop notification, symlink support etc. It’s available for all major Linux distros and the installation process straightforward. It offers a beautiful GUI as well as the command-line interface. The only downside is that Insync is not free. Insync provides a 15 day free trial period. After that, it’ll cost you about $29 one-time payment for a single account and for multiple accounts, Insync has per-year pricing plans. If you have no problem with that, we can safely say that Insync is the Google Drive desktop client you’re looking for. overGrive is yet another feature-rich Google Drive desktop client. It includes almost all the features from Insync with some exceptions, such as no symlink support. It provides a nice GUI and an interactive setup process. overGrive supports all major Linux distros and desktop environments. It’s also available in multiple languages. Though overGrive is not free, its price is far less than that of Insync. The license fee for overGrive is only $4.99. It can be a good choice for Google Drive desktop client. Rclone is actually more than just a Google Drive client. It is a command-line program to sync files and directories to and from various cloud storage services, including Google Drive, Dropbox, Amazon S3, OneDrive etc. The installation and usage documentation can be found on their official website. For configuring Google Drive with Rclone, read this. It’s completely free and open source. You can find the source code in the GitHub repository of Rclone. If you are comfortable working with the command-line interface, you can pick this one. This one’s a little bit interesting. Drive was originally developed by Burcu Dogan, while working on Google Drive platform’s team. So, this is the closest thing we have to an official client. It’s a command-line tool written with GO programming language. It doesn’t have background sync feature. It’s designed to upload/download files in a push/pull style. Frankly, it’s a little difficult to use it for everyday purposes. You’ll find a complete guide for Drive on its GitHub project. Platform specific installation methods can be found here. If you use GNOME as your desktop environment, you’re in luck. Starting from version 3.18, GNOME has baked in a Google Drive feature in their file manager Nautilus. 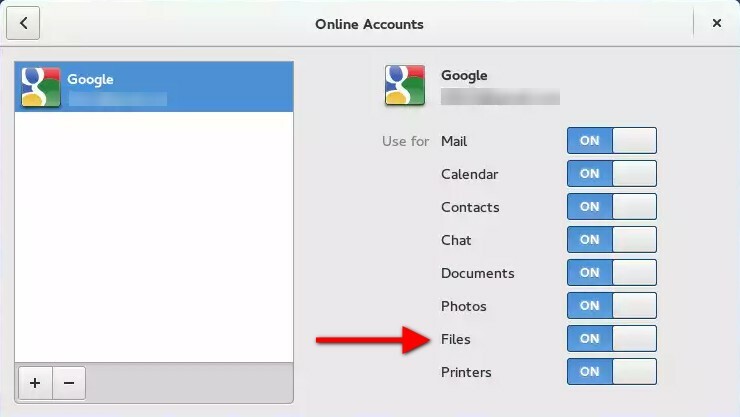 If you add your Google Account in GNOME Online Accounts, Nautilus will automatically have Google Drive added to its sidebar as a remote filesystem. It’s not actually a desktop client. But you can do some cool things like drag&drop file uploading, opening Google Drive files directly from Nautilus, copying files from Google Drive to your local filesystem etc. Read our guide on how to install GNOME Shell in Ubuntu. It’s totally disappointing that Google hasn’t yet come forward with an official Google Drive client for Linux despite the growing popularity of Linux. Until it does, these alternatives are all we have. Which one of these is your favorite? Do you have any other suggestions to use Google Drive in Ubuntu or any other Linux? Are you facing trouble using any of these methods? Whatever the reason is, you’re always welcomed to use our comment section. As of 7nov18, Gnome’s account support for Google does not support team drives. There’s no mention in the article about team-drive support. Insync. I use this for many years now with full satisfaction. Recently they had another action and I added all my accounts now. Yes, I have several of them. Each of a free 15Gb with Google ;) Instant syncing while a file is added or changed. Same here. Freezes constantly. Often won’t load at all. To his credit, the author did respond, but with a shrug more than a fix. Insync. Absolutely worth the extra money. https://mega.nz/ is an alternative to Google Drive and it has a cliet for Linux. Yandex.Disk is another good option. Like Mega, they offer a lot of storage with the free service option as well as a Linux client. Get both and you are in there with storage space. Google Drive has a good Web client. I used WebCatalog to create an Electron desktop app for it. Nativefier will work but the resulting app files size is a bit excessive. WebCatalog thru Juli creates a much smaller app footprint and the app itself is fast and responsive. Since the developer of WebCatalog and Nativefier announced that WebCatalog and Juli are to be sunset for Linux and Windows the latest version is now available without limitations.